All your invoices in one place – Swedbank Internet Bank for Business. Giving up of the paper-based invoices you will contribute to the preservation of the environment. If you choose the automated payment, you will not have to bother paying invoices every month. Receive all e-invoices issued by different providers – for internet connection, telecommunications, utilities and other services provided or goods acquired – in one place – your Internet Bank for Business. Order the Service of Electronic Invoices quickly and easily – all you need is to submit application for receiving e-invoices. E-invoices are stored in the Internet Bank for eighteen months from receipt – you can review e-invoices, follow their payment status, print, save in chosen format, delete or archive them. Pay e-invoices according to your needs and habits – by automated payment or payment order. If you have concluded e-invoice automated payment agreement, you will be able to choose the partial payment of e-invoice, payment day and the maximum amount. If you pay e-invoice by payment order, your payment order form will be prefilled automatically and you will not have to enter any details additionally. If you choose to pay received e-invoices by automated payment, indicate the convenient automated payment date. You can also choose a monthly limit, a partial payment option and the end of the automated payment. You are free to choose either automated payment of e-invoices or a payment order. 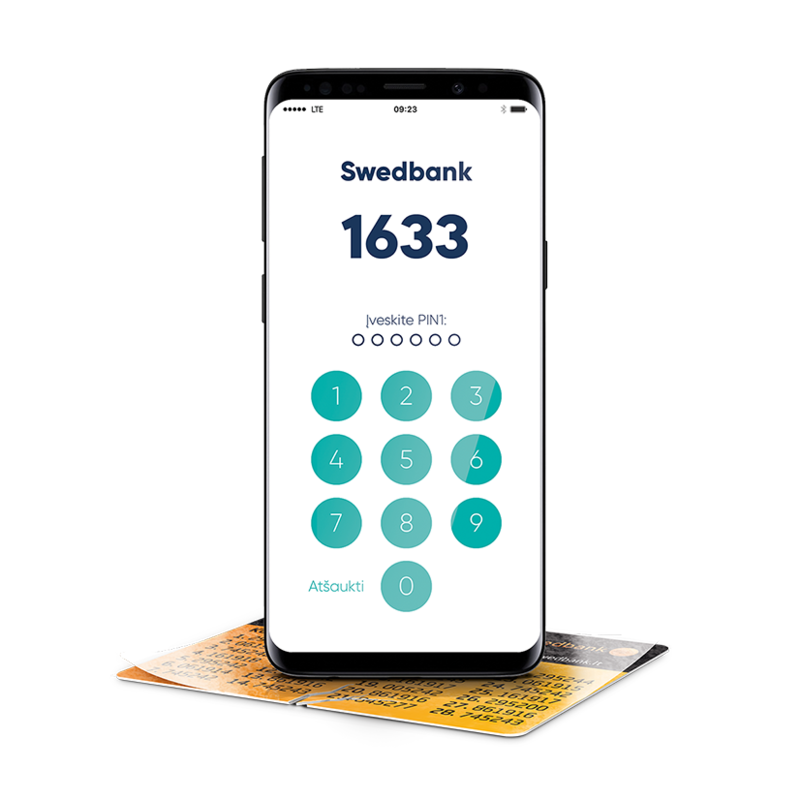 An automated payment order to the service provider’s bank account with Swedbank, AB is free of charge, and an ordinary payment order is charged at the usual rate applicable to payment transfers. Can I refuse receiving e-invoices? You can refuse receiving e-invoices or only the e-invoice automated payment agreement. Having refused automated payment of e-invoices, you will continue receiving new e-invoices and will be able to pay them by payment order. How much do e-invoices cost? You can order e-invoices free of charge. Having concluded the e-invoice automated payment agreement, the e-invoice payment will be free of charge if service providers account, to which the funds are transferred, is with Swedbank, AB (in other cases – according to Bank’s price list of services and operations). The payment of e-invoices by a ordinary payment order will be charged at the usual rate of payment orders. What is the difference between e-invoices and direct debit? E-invoice is a way to receive regular invoices for services provided or goods acquired. All invoices of service providers will be shown in your Internet Bank, so you will not have to visit the service providers’ self-service websites additionally. You can choose either an automated payment or a payment order for payment of a service provider’s invoices. Having chosen an automated payment, you will have possibility to choose the term of payment of the received e-invoice: two days after the e-invoice receiving day, on the day indicated in the e-invoice (the last day of the payment term) or two days before the day indicated in the e-invoice (the last day of the payment term). What happens if automated payment is impossible due to insufficient funds in account? To execute the automated payment of e-invoice the Bank checks the account on your chosen e-invoice payment day. In case the funds in account are insufficient for full payment of the e-invoice amount, the bank account will be checked for another two calendar days. If over mentioned period the sufficient funds do not appear in the account, e-invoice may be paid partially, assuming that this option was chosen when concluding the e-invoice automated payment agreement and if funds in the account are sufficient for payment of at least 50 % of e-invoice amount. If e-invoice remains unpaid or is paid only partially, you will be able to pay it later by payment order. How to know for what services the e-invoice was issued? You can order two different types of e-invoices. If you order a full e-invoice, you will see in the Internet Bank the full invoice submitted by a service provider, which at present is provided to you by post, e-mail, on the service provider’s self-service website or in any other manner. If you order an e-invoice with limited information, you will see in it only the necessary payment details - the due amount and the date by which the invoice must be paid. In that case you will continue receiving a detailed invoice from the service provider in the usual manner. How to know in which bank in the service providers account? The bank account to which service provider collects the payment for services will be indicated in received e-invoice. What is the difference between full e-invoice and e-invoice with limited information? Details provided in full e-invoice will correspond to those of the invoice issued by the service provider which you currently receive by post, e-mail, on service provider’s self-service website or in any other manner. The e-invoice with limited information contains only the necessary payment details – invoice amount and the payment due date. Can I choose e-invoice payment date? two days before the day indicated in the e-invoice (the last day of the payment term). The partial payment option chosen in e-invoice automated payment agreement will allow partial payment of e-invoice amount if funds in the bank account are insufficient to pay full amount of e-invoice. E-invoice will be paid partially if funds available in the account are sufficient for payment of at least half of the required amount. Can I limit the amount paid by automated payment to the service provider? On conclusion of e-invoice automated payment agreement you can choose the maximum amount, which means the monthly limit above which the automated payment of the invoice will not be carried out. In this case e-invoice will be paid partially (assuming that the partial payment option is chosen when concluding the agreement) if the maximum amount is larger than the half of received e-invoice amount.